A flawless performance by Adelina Sotnikova has won Russia a largely unexpected gold in the women’s individual figure skating event. 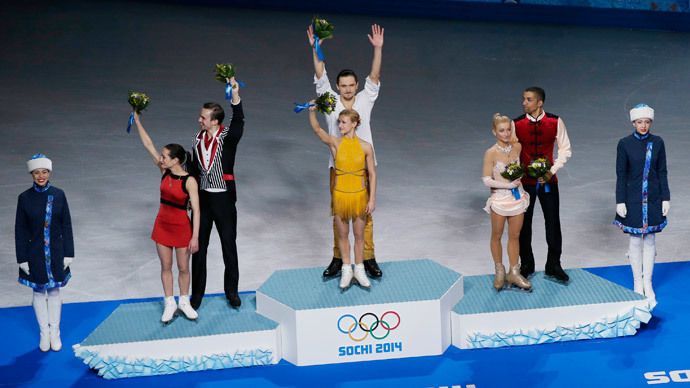 Sotnikova’s victory made her the first female Russian skater to receive Olympic gold in this category. The 17-year-old Sotnikova came second after the short program but scored a total of 224.59 after the free skate. Vancouver-2010 Olympic champion Yuna Kim of South Korea settled for silver medal with 219.11 points and Italy’s Carolina Kostner snatched bronze scoring 216.73. Sotnikova is the second Russian skater to receive a score over 200 in the ladies' figure skating singles. Apart from winning gold at such a young age, Sotnikova has already become a two-time European silver medalist, a five-time medalist of the Grand Prix series, and a four-time Russian national champion. The figure skater was born in Moscow, Russia and began skating at the age of four. Her first senior debut was at the 2009 Russian Nationals, where she won the gold medal at the age of 12. More recently, Sotnikova impressed Russia with her talent after winning her fourth national title in 2014, placing first in the short program, second in the free skate, and beating 15-year-old Russian athlete Yulia Lipnitskaya. Russia’s 15-year-old prodigy Yulia Lipnitskaya, who earlier won gold in team figure skating, failed to repeat her success; she fell in both the short program and the free skate, receiving penalty points. Lipnitskaya ended up in fifth place. However, Russian figure skating legend Evgeny Plushenko cheered on Lipnitskaya, saying that she has a lot of victories ahead and that she is still an Olympic champion. Lipnitskaya’s stunning performance at the Games made her the youngest Russian athlete to win a medal in Winter Olympics history. 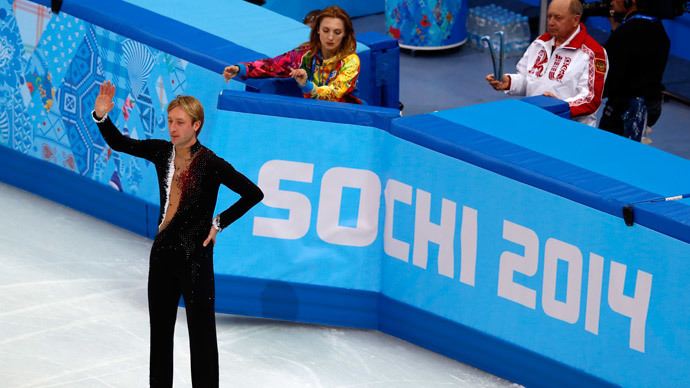 For Plushenko, the Sochi 2014 Games were not a complete success either. Having earned a gold medal at the team event, he had to withdraw from the individual skating competition after injuring his back during a warm-up. Plushenko tweeted Sotnikova “Bravo!,” congratulating her on her success and reminding that she is the first Russian figure skater to become an Olympic champion in women’s individual skating. The most decorated figure skater in Olympic history, Plushenko had to undergo 12 operations during his sporting career – including one major surgery on his spine just one year ago which backfired, forcing him to retire from professional sport at the age of 31.